Chang Tang - in Tibetan language that means 'northern land' and it refers to the high plateau north of the Gangdise Shan mountain range. It is considered as one of the last untouched wilderness regions of the world. The largest regions of the Chang Tang are uninhabitated, and only in the fringes of the Chang Tang there are settlements of Tibetan nomads. Vegetation and Fauna are unique. There are no roads through the Chang Tang (yet? 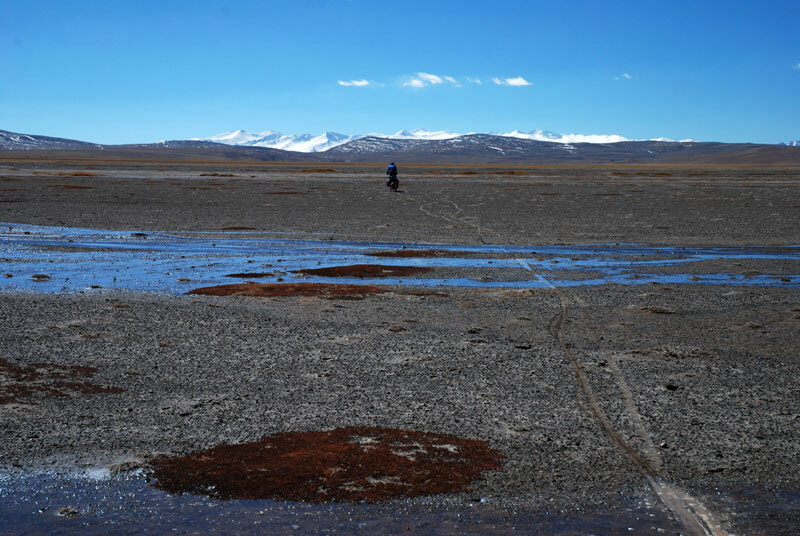 ), and one one has left the last settlements behind, one is alone in the fascinating openness of the Chang Tang. 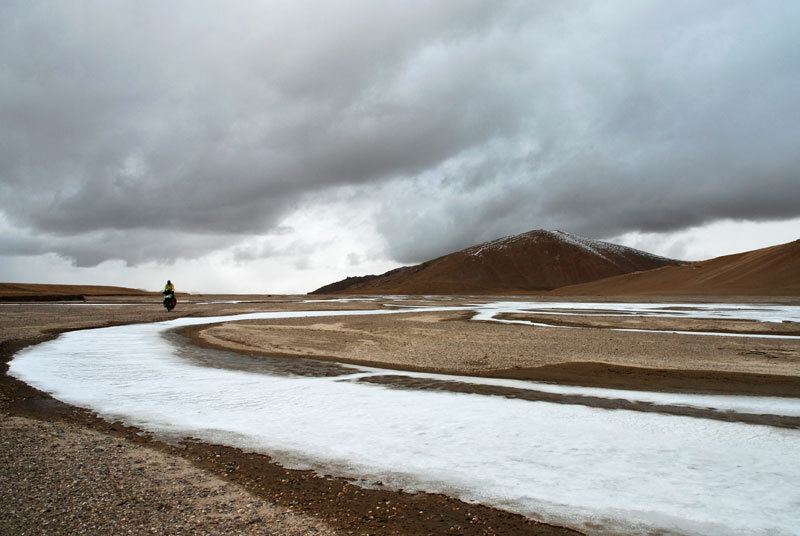 As a region without river drainage, the Chang Tang bears many lakes without outlets, and most of them are saline lakes. The Chang Tang is the only region outside the Arctic/Antarctic with permafrost soils. In summer, these soils melt on their surface to form an impassable swamp of sticky mud. 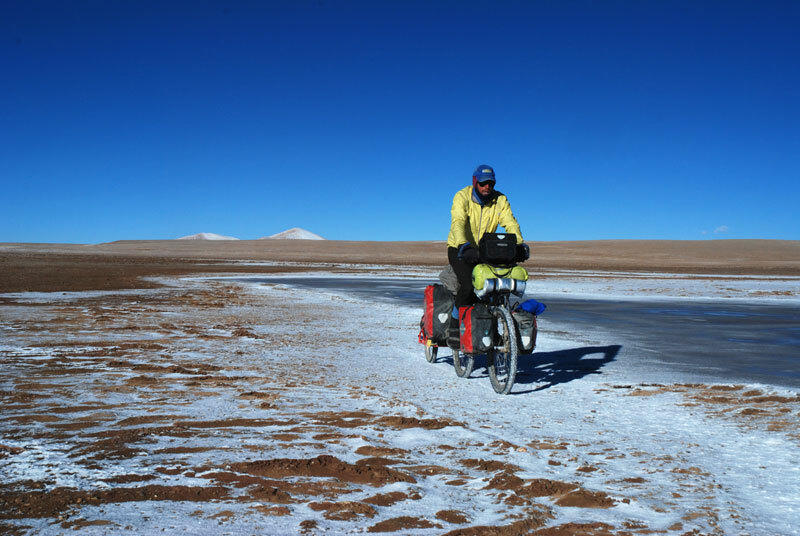 The bicycle is an ideal means of travel in this road-less landscape: It allows maximum flexibility with respect to the different surface structures ranging from sand, or gravel to clay or salt flats. 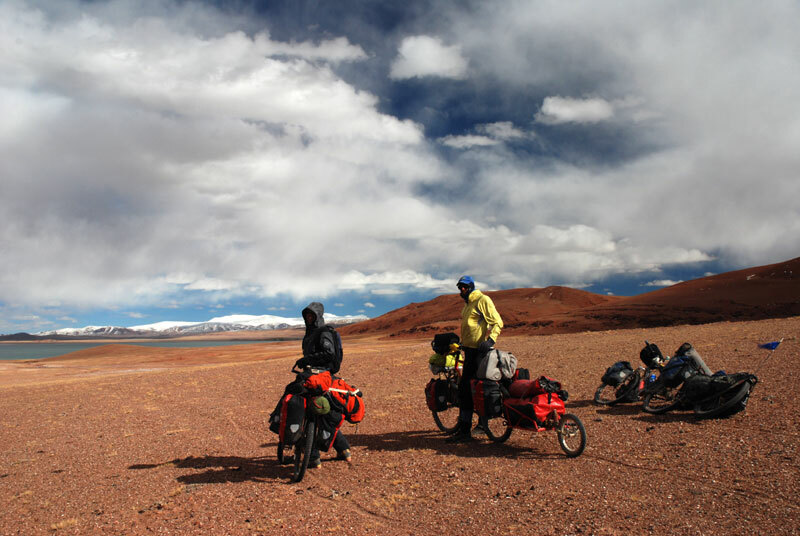 In addition, using bicycles, it is rather easy to transport large amounts of food and gear for several weeks of solitude in the wilderness without possibilities for support. 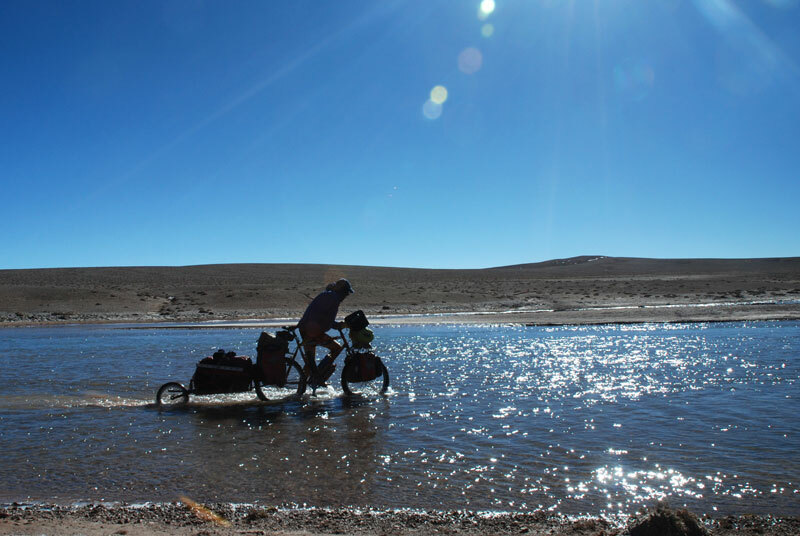 Difficulties for the bike are in river crossings and in muddy terrain. Therefore, in fall, when the ground is frozen until early afternoon, then it is the right time for traveling in the wilderness of the Chang Tang. 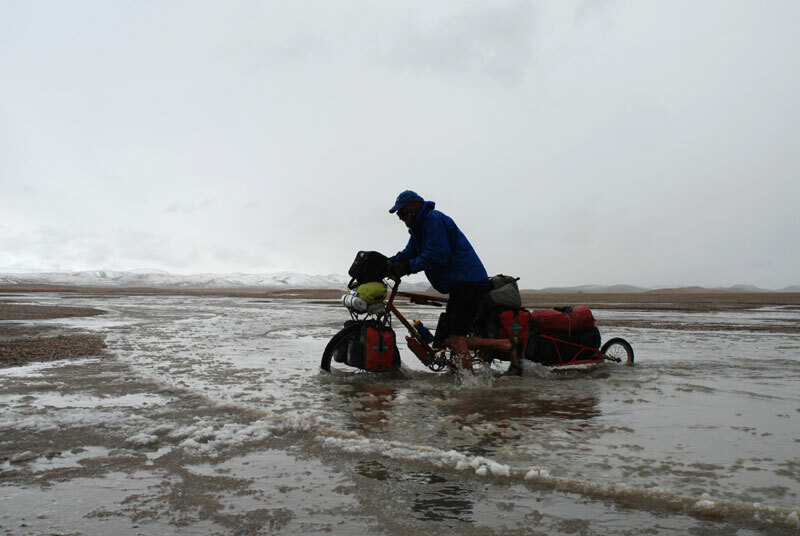 Great riding on frozen mud along a saline lake. Flat saddle with views over lakes and mountains. Sticky mud: the longer you stand, the deeper you sink. 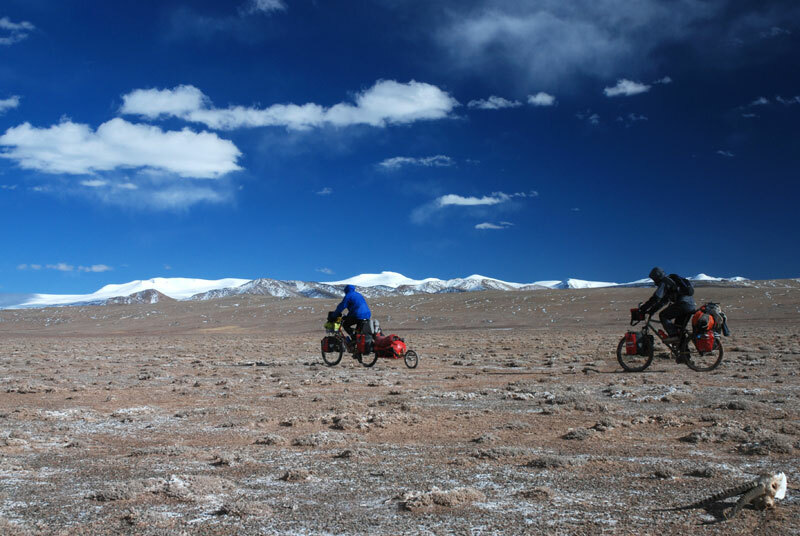 We used mountain bikes to explore the fascinating openness of the Chang Tang landscape with its lakes and wide grass-covered plains. 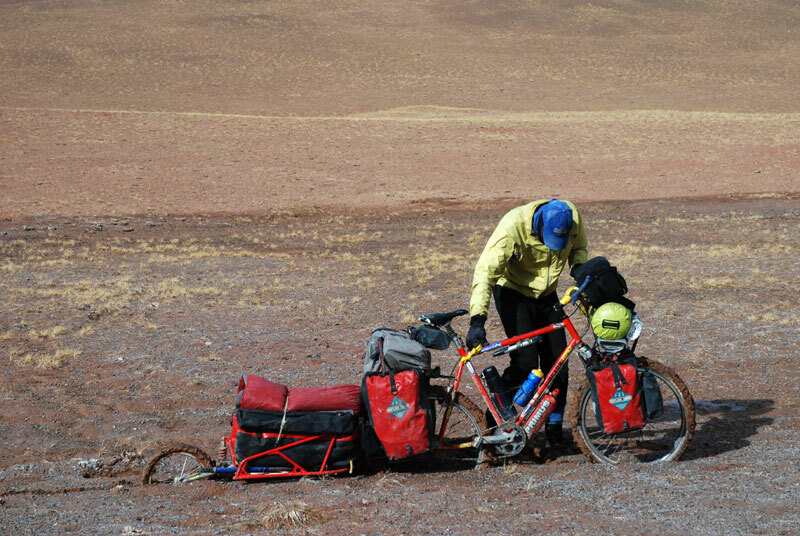 Last, but not least, the bike was the ideal means to cover the distance of roadless 200 km and to carry all gear necessary to 'our' 6000 m+ mountain to attempt a first ascent. Salt flats. Only rideable when frozen. Smaller rivers can easily be crossed on the bike. Wide open landscape without drainage. 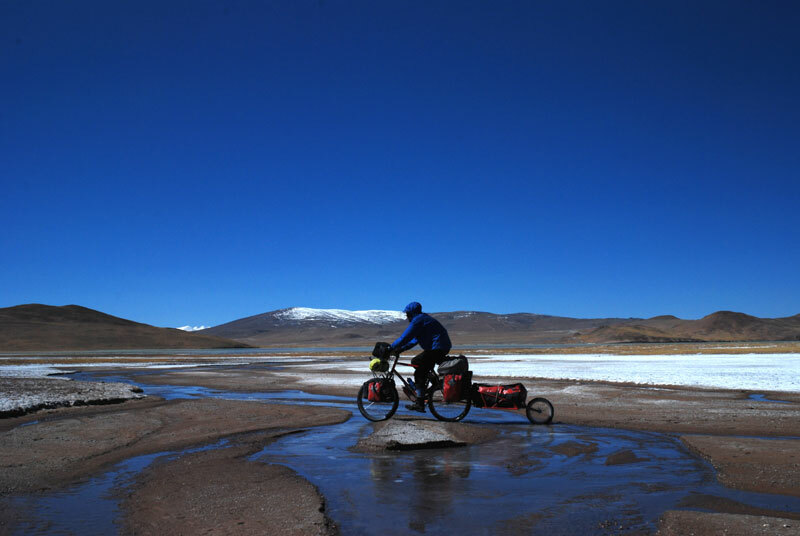 Frozen river beds are ideal for cycling. Cold. River crossing with floating ice. More river crossing. This time without floating ice.